Here in the Pacific Northwest, spring can be a little bit wet. And windy. Don't get me wrong, we definitely get some beautiful days (like today), but it's unpredictable at best. I've mentioned before, my need to get out of the house a lot. I'm not a "sitter" and I don't do inside-with-4-kids well, at all! I like to have a plan, places to go, things to do...or I feel like my house becomes a disaster and the volume indoors increases at a rapid pace. --puddle jumping. Slide on the rain boots, coats and let them get soaked. Or, you can just send them out with an umbrella and they will LOVE it!! Sure, they'll get soaked, but changing clothes is worth the fun. I promise! --attend a gym. When the weather isn't great, I pack the kids up and head to the gym. We do a family fitness class, open swim, or check the littles into the childcare and get our workout on. It's a win-win for everyone! --check out the local museums. Our children's museum is actually free (they accept donations) and winter and spring are the two seasons that we spend the most time there. 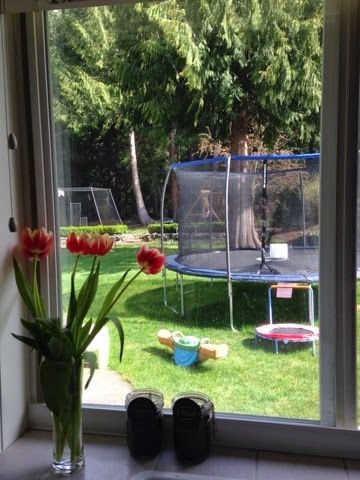 Kids can run around with a lot of space! --last minute play time....the mall! It's probably not the cleanest, or most sanitary, but the kids love it! Any time they can run, climb, shriek and not make a mess of my house, is a win, in my book! And McDonald's has a decent play place as well. Just sayin. --the library. Can I get an Amen? Take advantage of story times, as well. My girls love these and they are free and fun! --nature walks. Seasons are my favorite. It's amazing how they change just when you think you can't take one more day of the same. I'll be honest, spring is my least favorite season, but it's sure pretty when it's sunny! 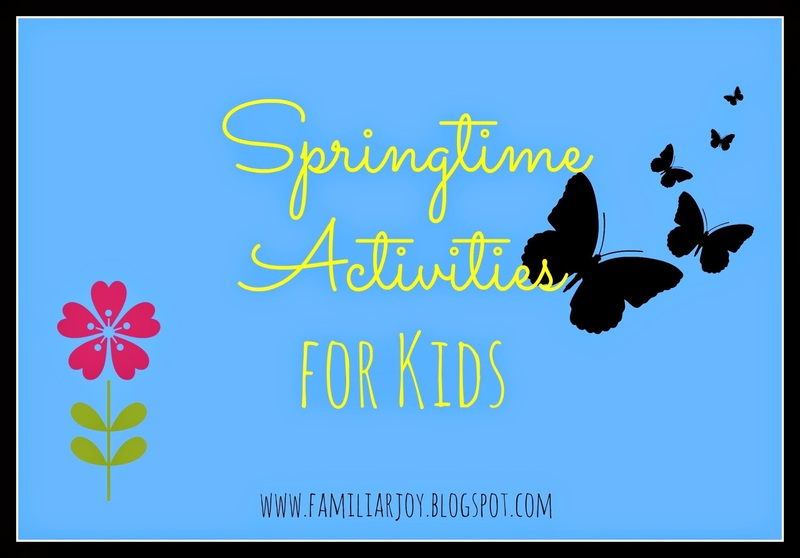 Have kids check out the birds, the trees, the blossoms, the flowers...it's all so beautiful! They can even keep a nature journal, where they keep track of what they see. 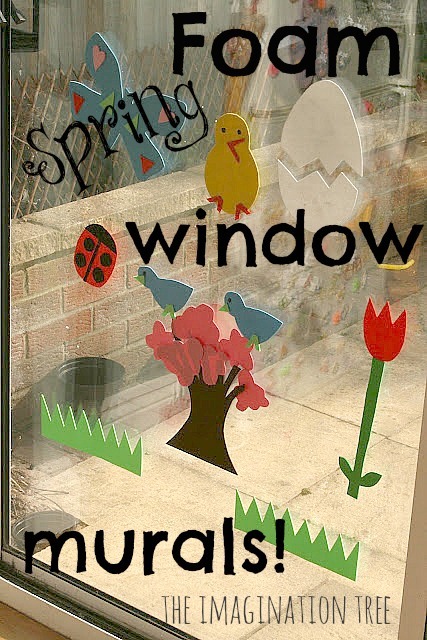 --do foam window art. How fun is this? And it's cheap and easy! The kids can sit and watch the rain while they decorate your windows. --crafting. There are 1493752959﻿ art projects on Pinterest and it's a little overwhelming. A favorite of mine is painting terracotta plants and then letting the kids plant sunflower seeds. --go to the movies! Pack your own snacks, bring a cozy blanket and take the kids! 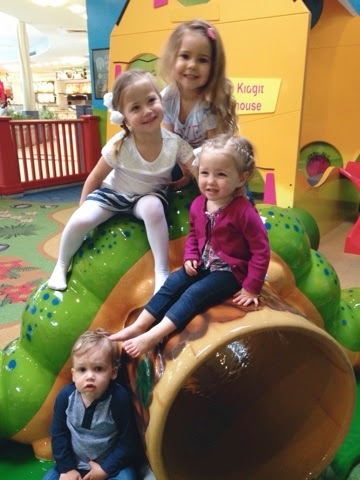 My kids have done fine after the age of 2.5. The screen is so large (and loud) that it usually captivates their otherwise spastic personalities. Okay, your turn! 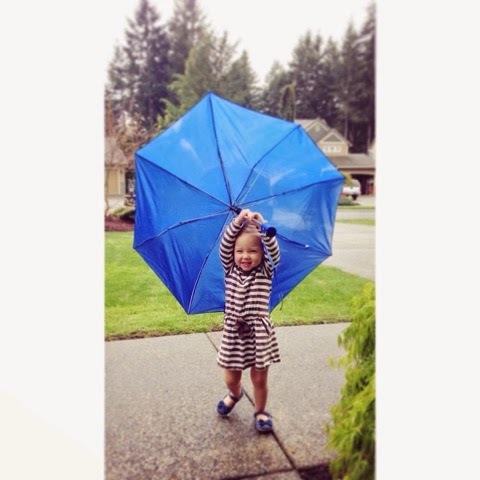 What do you to stay dry and have fun in this lovely spring weather?? Thanks for sharing! Our mall has a play area but I'm always so leary over it. Sketch people and of course germs....as if they are never around the germs I know....haha. Oh woman! Inside with 4 kids? I hear you! I'm a nanny for 4, but they're all preteens. It's a different batch of crazy but I can definitely relate!! Yes to all of these activities! We've had a pretty mild winter and spring so far, but we love story times and the museums. Now it's time for hiking!! We are so happy you linked up with us at Thursday Favorite Things! Jumping puddles in the rain was my favorite activity as a kid.